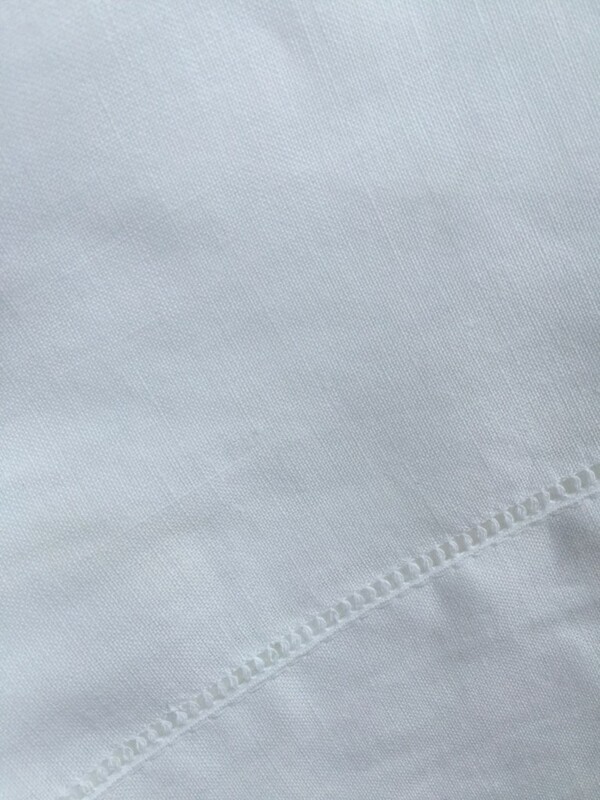 100% Linen, white and hemstitch. 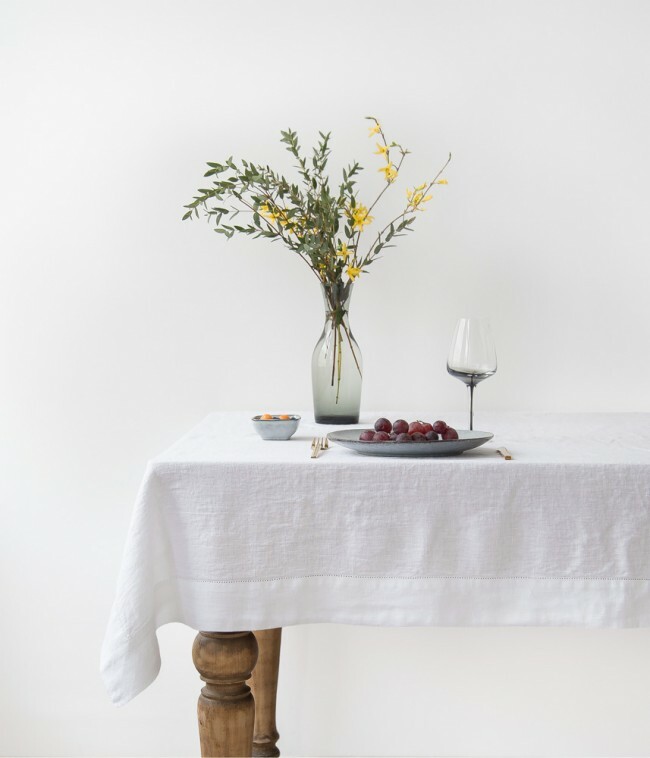 These are handmade and very high quality linen. The fabric is thick and natural feeling. They work on an 8' table with an underlay or a 4 or 6' table to the floor. 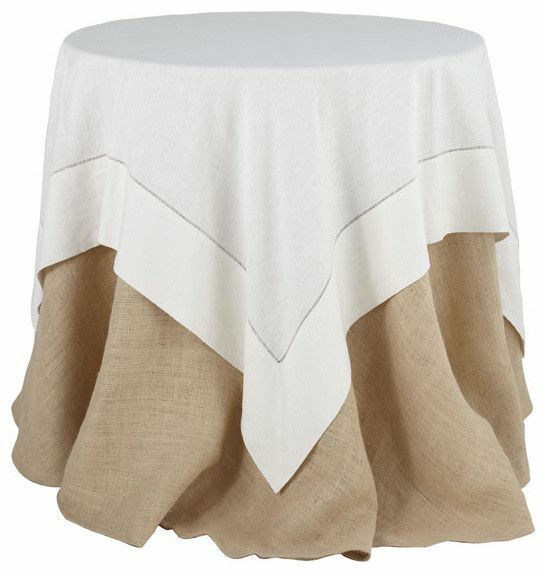 Pair with our white hemstitch dinner napkins and cocktail napkins.